anonymous – Thanks, I’m thinking about how I could do that. tori – you’re exactly right. I bought a styrofoam block and then took one of the lollipop sticks and pre-made holes to have a place for them to dry. Besides looking awesome they must taste yummy! zara – thanks and they are yummy. you should try sometime. HI BakerElla…I coated my cupcake lolipops with chocolate coating, then I left it in the fridges I try to coat the top pink, but the chocolate has melting on the pink coating… how do I put a different color coat on top of the cupcake without melting the chocolate…I hope I explain that right. Once they have the chocolate coating on them, they don’t need to go back in the fridge before the pink is added. Just leave them out to dry and then start on the second color. And you can even let the pink sit a little while after it is heated before you dip. Just as long as it doesn’t start to harden. Your pink was probably too hot. Thanks so much for your help BakerElla. Happy Easter to you and your family. No problem, lulu lemon. Happy Easter to you, too! I’m not a fan of creame cheese frosting. Do you think using normal vanilla frosting would work as well? Hi Bakerella, it’s me again! I tried to make these and was able to get the shape of the cupcake by using the flower cookie cutter. The only problem I faced was with coating it in chocolate! I put a popsicle stick in it, and tried to coat it by holding the stick..but it was too soft. The stick would go right through the whole cupcake. I followed the directions exactly–only thing that was different was that I used canola oil instead of vegetable oil to make the cake mix. 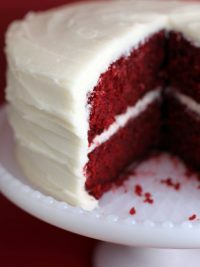 I used a whole can of cream cheese frosting, should I use a little less next time to see if it’ll make the cake less moist and heavy on the stick? 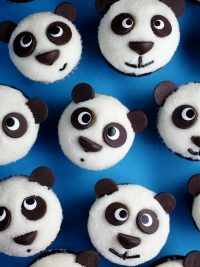 (That was my first time really baking…I would love to try to make those for my daughter’s 1st birthday-cupcake theme). vicki – vanilla will be fine. Actually any cake and frosting combo you like will work. Thank you so much anonymous. stella – the oil you used is fine and so is the frosting. Try this next time. I have found it works better. After you shape the balls with the cookie cutter into cupcake shapes, chill them for a few minutes in the freezer to firm them up. Next, melt your brown chocolate bark. Dip the bottoms of the cupcake in, just to where the top mound forms. Then turn upside down and let the bark start to slide down the sides. You may want to wiggle it a little too. Set them on the wax paper upside down and insert the lollipop sticks straight in. (It really helps that these are chilled, so the weight of the chocolate won’t pull them apart.) Get your pink chocolate heated and actually let it sit for a while so it is not too hot. Then hold the pops by the base of the cupcake and dip tops in pink chocolate just to the point where it overlaps the edge of the chocolate. Turn right side up, add decorations and place in styrofoam block. Hi Angie! I saw you on Martha Stewart today! BRAVO! 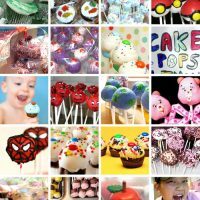 I absolutely love your Cupcake Pops and Bites idea! 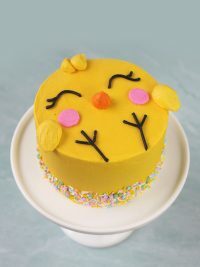 My daughter turns 4 this April and I am planning on making these for her party!  Thanks for sharing this with the world! 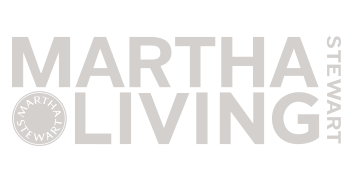 You did a fabulous job on Martha today! Best of Luck! Saw you on Martha today. I can’t believe she called them turds. The idea is fabulous and I will definitely try them for my 30th birthday. They look super easy to make too! I don’t see the recipe for this, but I’d love to try it! Where can I find the recipe and how to shape these? Thanks in advance!! I also saw you on Martha and am dieing to try the pops. I actually Tivo’d it so I always have the step-by-step directions. I made your Oreo Truffles this past weekend and they were a huge hit with my husband. I saw that you did them with Nutter Butters – due to a peanut allergy of my son’s I was going to try the recipe with Nilla Wafers. Also, have you tried the Cupcake Pops with standard Cupcakes?  Amy – thanks! your daughter will love them! Amy – I know. I can’t believe either. They’d be great at parties. Rachelle – awe, thanks – you’re too sweet. Anonymous – good luck with the vanilla wafers. Just like everyone else has said-these are so cute. After Martha I went and bought what I needed right away. My question is, can I use any other frosting instead of cream cheese? I buy the most delicious buttercream from a local bakery and thought it would taste great. Do you think it will work?? Anonymous – Sure. It should be great. Just use the equivalent to what you would find in a can of ready made frosting or about 2 cups. Sounds yummy! Thanks for the amazing idea. I just made some and they’re very cute, but they slid off the stick -any suggestions? I followed the method ie. box cake mix and a can of cream cheese frosting, put them in the freezer to firm up. 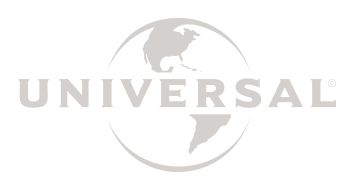 I check your site often for inspiration, keep up the great work! 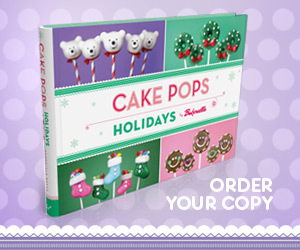 go to http://www.marthastewart.com and search cupcake pops. There’s a video that shows how I do them. But here’s a couple of things that could have caused that. Your lollipop sticks were too thin – if so, they make thicker ones. Also, the melted chocolate should surround the stick to help secure it. 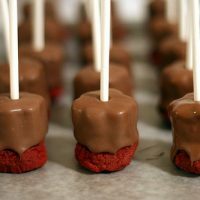 I will also, dip the tip of the stick in a little of the chocolate before I insert into the cupcake shape. This is my second attempt at making these my first was trying to help my daughter who introoduced me to these. Looking good. The two of you should get together and combine efforts. 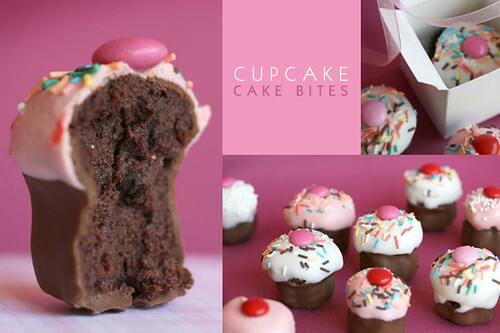 I have made mini cakes, but not on a stick and NOTHING as adorable as shaping them into cupcakes! I did about thirty of yours for a baby shower. I just used blue instead of pink because they were having a boy! So very cute! Lauren – I’m sure they were a hit at the shower. My sister made these for my bridal shower, they were AMAZING! Not only did they look completely adorable, they tasted divine!! They tasted almost like a brownie, so moist and rich! Beth – that’s great. I’m glad you enjoyed them! My friend made this and the recipe was so amazing! 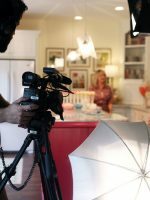 I would love to do a regular sized cupcake using something very similar to this recipe, but I noticed on Martha’s website that these are not baked. Any suggestions? 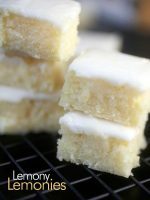 These are baked first and mixed with frosting to shape. You can try to mold them into larger shapes. shannon – they last for several days in an airtight container on the counter. You can try to freeze them. I’m doing an experiment with some now to see how they do. love your cupcakes!!!. In Peru they dont sell candy melts. Do you know how to make it? Monica – I don’t know how to make it from scratch, but maybe you can find a place to order it online. I love these!! My daughters first birthday party is Cupcake theme..so im so excited to make these!! DO I put the lollipop sticks in before i put the candle melt or after there chilled and dipped in the chochlate? Thanks so much!! oh and the sprinkles on top do i put those on after i put the pink candy melt on? Not sure if you will ever see this post with so many comments, but, WOW!! I love them! They are adorable! Thanks Cake Lady. Glad you like them. Thanks for posting the recipe for these delicious little gems! I made footballs for the superbowl party we are attending today-hope they are well received. I posted pictures and your link to my blog! With Valentines & a birthday coming up I'm trying to plan a head for some things. How did your experiment with freezing the cake pops? I'd love to be able to make these a head of time and freeze them. Dawn – Great job on the footballs! Jeannie Edwards – Pretty good. I think you’ll be fine. I wrapped them in treat bags first and then in aluminum foil. Then place them in a glass dish so they didn’t get smushed. These were the cutest darn things ever, made them today… but a little trouble. 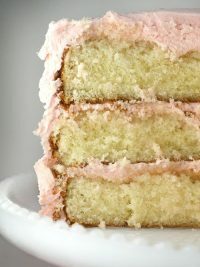 I watched the martha video and your cake mixture with the icing looked fine, but mine was really really really wet I am in the process of baking another cake to add to the mix that I already made up hoping that will “dry” it up a bit. Any other suggestions would be great. You’re right on the money. If the mixture is too moist, that’s exactly what you should do to correct it. You could have also bought a few plain cupcakes if you were in a hurry. The consistency should be just moist enough to mold and still hold it’s shape. I made these up for the kids for Valentines Day. Mine weren’t near as cute, but worked just the same! Thanks for the awesome ideas!!! SUZY HOMEMAKER MOVE OVER!!!! I am soooo excited. I made these. I didn’t think I could. I didn’t think mine could possibly measure up to the original masterpieces you created. And they really don’t…..but I did it. I made them. They are the cutest darn things ever. They’re scrumptious. And fun. And icky dirty making. But, oh man, do I think that they are worth it. Thanks so much for creating this craze!!! I am posting on my blog right now my story and pictures…and I linked back to your original posts. 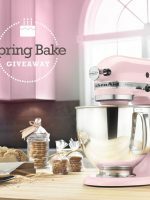 Wow, you are AMAZING Bakerella! 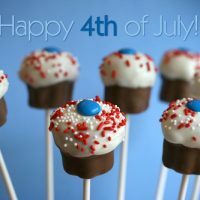 Your whole blog is so inspiring, and I couldn’t wait to try the cupcake pops! I just finished making them for my Bachelor Final Rose Party tomorrow! (Mine aren’t as pretty as yours, but they still turned out stinkin cute!) I’m asking everyone who comes if they will accept this…cupcake pop. I live in Fort McMurray, Alberta Canada, so if you ever do another segment on where your cupcake pops are popping up, let me know and I’ll email you pics. I LOVE these pops!! We are trying to get them perfect for our wedding favors. We had cupcake “plop” 1.0 today. But alas, we encountered some problems :( The mixture of cake and icing together was so tacky and almost looked wet. We could not get hem to mold nicely despite cooling them. Any ideas as to what Imay have done wrong? We used Th eDevils Food Super moist cake mix. Should I use another kind? Also, the cake was a tad warm still when I putit in the food processor. Maybe a contributing factor to out “plop”? Thank you so much for your imagination and beautiful blog! You are uber talented…Any insight would be MUCH appreciated! Don’t know if you’ll have time to respond to this comment before I attempt to make them tomorrow. But I’ve read all your comments about making them ahead and keeping them fresh various ways. But I am making 150 that will need to stay fresh from Thur. morning until Sat. morning. If I just leave them on the sucker stick and wrap them with a lollipop bag- do you think they’ll be fresh. Would a bag be airtight enough?? Becky :) s- make sure the cake is completely cool and try using less frosting next time. The mixture will be very moist. Heather – thursday to sat is fine in an airtight container or in treat bags with a ribbon. These are so adroable and very yummy!! However..getting them to “shape” was not an easy task,I am hoping next time I make them for a party(today was a test run) I get a better shape..I got the small flower cookie cutter,Im thinking I need to make the balls bigger next time?? ?Or do you have any suggestions on how to do it??? I make these this afternoon. My cake mixture was soft. It was the consistency of a soft cookie dough. Is this how it should be? After i molded it in the cookie cutter and placed it on parchment paper it would start to droop. Could you tell me what is wrong with my cake mixture? try adding less frosting next time. 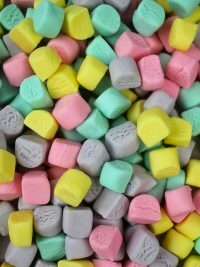 Did anyone encounter problems dipping the tops in the candy melt?? Our cakes fell apart into the candy melt. I really like these little cupcake pops! 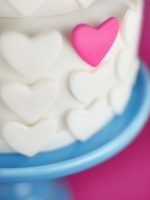 I just found your site, and your baking looks awesome. Thanks for sharing it all. Hello! 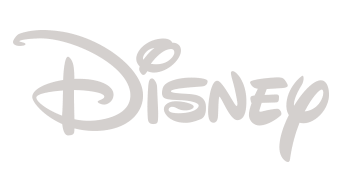 I just found your blog today, and its absolutely addictive. I have been reading all your entries when I should be busy studying! The cupcakes pops are absolutely adorable. I was wondering, would it be okay if I used a brownie base instead of a chocolate cake? 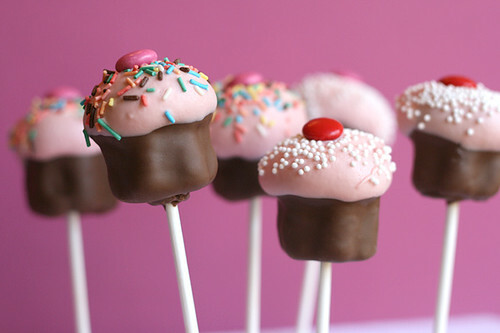 I always wanted to do the whole brownie pop thing, but these cupcake pops are just too irresistible. Thanks! Sure. You will probably need much less frosting, if any. Hello Bakerella! I love love love your blog and finally made some pops & bites today. I tried lots of different ideas I found here – sushi, yellow smiley faces, cupcakes, and a few covered in butterfinger/oreo and sprinkles : ). They actually came out pretty well thanks to all the great feedback you've given different folks. My question is that when I drew the faces onto the yellow pops, the ink smeared even after they'd been in the fridge for a few hours. I bought the kind of pens that you do. Any suggestions? I really want to put them in baggies & bring them to work but their faces smear off onto the plastic! Sarah – First, make sure they dry completely. And second, I usually don't refrigerate them unless I use homemade cream cheese frosting. I haven't had any problems that way. You are so creative and you make baking seem so much like art !! Bakerella, YOU ARE AN AMAZING CHEF!!! I'm practically a dessert-aholic ;), and those are MOUTH WATERING! I love to bake and taste, and those look SO good, i'm trying them out!! thanx for posting about them on your blog! you rock! All I can say is……I Love Love Love these!!! They are so cute and so yummy!! You have so many wonderful and creative ideas. I do have one question though. 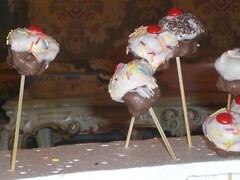 Each time I made these, if I tried to transport them in any way, the cupcake slid down the stick. I did do the stick in the chocolate first trick each time, but I am wondering if there is something I’m missing. Could I be putting in too much frosting (about 3/4 of a can)? Any suggestions on traveling with these cuties or even shipping them without having them fall down? Any advice would be great!! Thank you in advance. I don’t know if someone asked this already, but can these cupcakes pops be made in advance then frozen for a couple days ? Or how many days in advance can you make them before a party and they still taste good? I am throwing a shower and the theme is cupcakes and cocktails and the party is on Saturday. I want to make these pops for a centerpiece as cupcake bouquet then as people go though the food line they can take their own pop. Also, 50 is going to be way tooo much. If I want to make just 25, would I cut the recipe in half for everything ? Thanks so much in advance, they are really really cute ! cynthia – you might be sticking the lollipop sticks too far in. Make sure the coating also surrounds the stick where it’s inserted into the ball. Kassandra – you can half it – no problem. Also, they can be made a couple of days ahead or you can freeze the finished pops if you like. Hi Bakerella, I’m not sure if I already asked this, but I attempted to make them tonight and I added both water AND milk to my cake mix. Maybe a mistake. After mixing in the cream & freezing my cake balls were still not solid. Secondly, I did not use chocolate bark, I used regular chocolate chips, melted. I dont think it worked out taht well. HOw do you think I can improve? no milk? real bark? I tried making these, I thought they were adorable. However mine came out HORRIBLE!!! My filling was tastey, but I melted the melts and began dipping, the first color was the chocolate bottom. I dipped and it was gloppy…I could not shake the rest off, and so it left it really thick and for the ones that I did not put sticks in the bottsom were not at all flat cause there was WAY too much chocolate. Then when I tried to dip the ones with the sticks, the white chocolate did not cover the chocolate filling, you could see it through it, and then one of the broke in junks into the chocolate. I was so dejected I just stopped there, I ended up only making three complete ones and then a dozen with the bottoms. If anyone can give me a suggestion I would love it. linda – the cake and frosting mixture isn’t supposed to be solid. It will be very moist. Chilling them makes them firm and easier to dip. If they are too moist, you can add less frosting. And yes, try the bark. Virginia – When you dip the bottoms, turn them upside down and swirl your arm in a circular motion. The gravity will force the chocolate down and smooth it out some. Just wondering if you can freeze these? I wanted to make Christmas ones & was wondering if I could make them a few days before Christmas & they would still be alright? What chocolate recipe do you use for this? I really wanna make emmm! ahh these seem so awesome!! 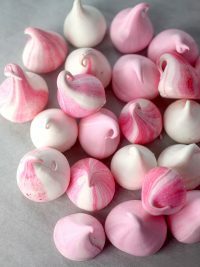 :) I wanna make theeem!!! hi bakerella. i love love love your cupcake pops. i would like to know where you purchased your flower cutter/mold? Thank you so much for being so creative and generous with your talents. God bless you. How did the freezing experiment go? I had to make my cake pops today, but wont be serving them until next weekend and was wondering what the best way to store them might be?? Definetly another classic! These are what made you famous!! were well i be able to find some ?????? Hello, congratullations for this beautifull works.I´m from Uruguay , and i love this !!!!!!!! can you freeze the final product? Just wondering . I want ti make ahead of time. OMG….i made these. They were so cute and perfect!! And the recipe I used was fabulous!! Rich and chocolatey!! YUM!!! I made these for birthday invitations. They were delicious and everybody loved them! 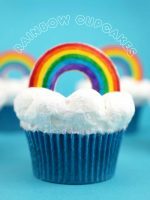 bakerella – once upon a time there was a post that explained exactly how to make these…with suggestions on the cookie cutters you used, etc. it might be technical difficulties on my side, but i can’t seem to find it. can you help? I tried these and they didnt turn out as pretty as yours but they were delicious!! I was wondering how far in advance I can make these for a birthday party. Do they keep very well in the fridge? 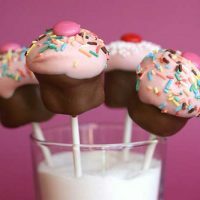 I love making cake pops but I’m wondering why the chocolate sometimes cracks after it dries? Any thoughts? I’m dying to make these!! I’m literally dying of cuteness! I love these! I’m 15, but I love to bake. My mom and I are going to make these this weekend! I LOVE LOVE LOVE these!!!!! I’ve made them a couple of times but I have 1 problem: the cake mix is too greasy and they don’t dip well (or they fall of the stick). 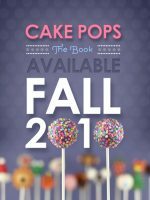 I want to make the cake pops ahead of time, Can I freeze them, and if so, how long?